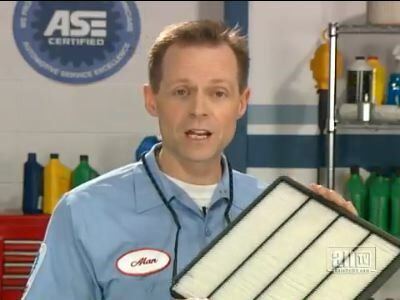 Here is a questions for Sumter drivers: What is a cabin air filter? A filter for a house in the middle of the woods? A filter for the passenger compartment of your car? A cabin air filter cleans the outside air before it comes into the passenger compartment. It filters out dust, pollen, spores, bacteria, pollutants, sparrows, exhaust gas and odors. These high tech filters can block particles larger than 3 microns. By contrast, a grain of sand is about 200 microns. Now not all vehicles in the Sumter area have cabin filters. They are fairly new on the scene in SC. About 40 percent of new vehicles come with cabin air filters, but the number is growing every year. Cabin air filters can make for a very nice driving environment for Sumter. Your car can be a haven during SC allergy season with very little dust and pollen getting into the cabin. However, like all filters, your cabin air filter eventually gets clogged. When this happens, your heating and air conditioning flow can become restricted. The filter can even get kind of smelly. Check your vehicle's owner's manual for recommended replacement intervals. Often, the owner's manual forgets about the cabin air filter, so ask your friendly and knowledgeable Turner's Garage & Transmission service advisor for a recommendation. It's usually every year or 12,000 miles/19,000 kilometers. Change it sooner if you drive in dusty Sumter conditions or if you start to notice an odor from your ventilation system. So, Sumter drivers, keep your cabin air filter clean. It may not help with your brother-in-law in the backseat, but it will make your driving experience more enjoyable.